Woodblock bookplate printed in two colors: red and black. The image is an abstract image of a fish. 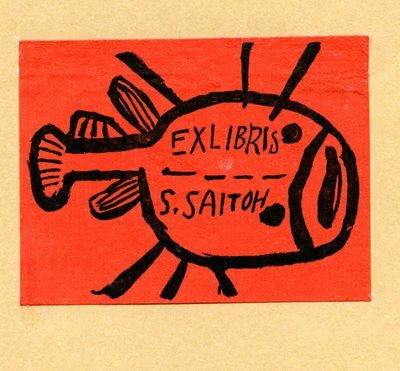 Text reads "Ex Libris / S. Saitoh"
"Sachiko Kumode Bookplate" (1964). Japanese Bookplate Collection. Image 10.